It’s been an interesting summer for music, and by that I am not referring to the Guns ‘n’ Roses reunion. 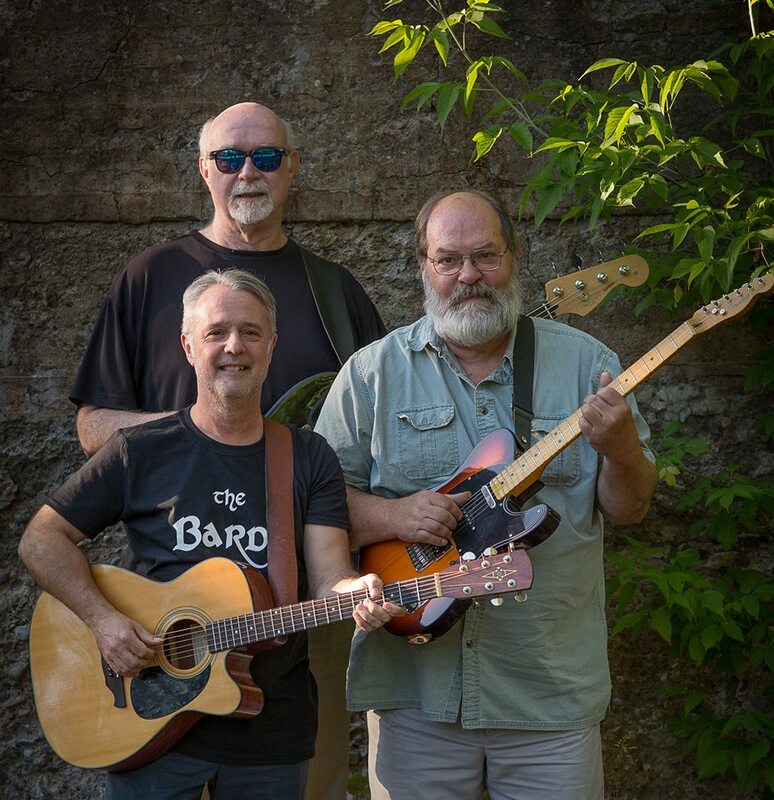 For the first time in many years, I’m performing live again, this time with my old band, The Bards, which hasn’t played together for almost twenty years. Back in the day, we were–and we still are–pretty loosy-goosy. It was as much about the fun as it was the music, to be honest. But we built up a pretty good following among the locals in the Hamilton, NY area and with students from Colgate University and Hamilton College, so we must have been doing something right. Meanwhile, my son signed on as a guitar player for a band led by a local singer-songwriter. They’re both in their early twenties, and even though they seek my advice, like all musicians at that age, I see them making some pretty standard mistakes. First, though, a history lesson. You don’t have to be a Clive Davis or a David Geffen to know that the music landscape has changed beyond all recognition since The Bards first banged out Brown-Eyed Girl at the Back Bacon in the eighties. Even then, in those pre-internet days, the business was changing on a local level. DJs, cable TV and DWI laws altered the live music scene, taking away audiences in droves. Meanwhile, the CD boom created legacy music acts and solidified record label control of the business, making it harder and harder for newer acts to break through on the bigger stage. Then came the internet. Everyone knew right from the word go that it would be a game changer. Theoretically, it was the great equalizer–we could control distribution of our music, increase our visibility and be connected with audiences and the industry in ways that we could only dream about before. We had broken the stranglehold that record companies, agents, promoters, managers and all those other sleazeballs had on us. We could do everything they could do, and we could do it for ourselves. What we didn’t realize is that everyone else could too. The demand for music that had been shrinking for a decade was now joined by a surplus of bands, driving the price of music, live and recorded, down and down again. Everyone with a guitar and a modem was hanging out their internet shingle and competing to play at fewer and fewer venues. Everyone with a computer and some recording software could release their music, which was one giant leap for artistic freedom and one giant step back for quality. We were all in big trouble and none of us could figure out how the hell we could cut through the noise and get out of it. Now, I don’t know how to get out of this mess any more than the next guy. But I do know that some things about the business are still true even in these turbulent times whether you just want to be a fun, local cover band or you’re trying for the brass ring. Most bands start off the same way–a bunch of kids who like the same kind of music getting together to try and play the music of their heroes. Many of those bands, however, never progress beyond that love of genre, and if your goal is to be a cover band or a competent original band, this is fine. But if you want to make some real noise in the business, find a way to blend genres, because this is how music evolves. Elvis Presley and Chuck Berry blended country and r&b to create rock and roll; The Beatles blended rock and folk (specifically Bob Dylan) to create Rubber Soul and Revolver; later, Zeppelin did something similar to produce the masterpiece that was Led Zeppelin IV. Run DMC, The Beastie Boys, Linkin Park and Rage Against the Machine all found ways to blend rock and rap and produce their unique sounds … the list goes on. Maybe you’re an artist, and you don’t like to put things in these terms. But they are true nevertheless. Like Coca Cola, Nike, McDonald’s and WalMart, your first job is to define who you are and who your audience is. If you don’t have a well-defined image, a good logo, pro-shot photos, some basic merch and a social media presence including an EPK with a demo and video (see #3), set up before your first show, you are missing a huge opportunity. This also means understanding you have to put out the best possible product you can. Obviously, this will evolve over time, but it starts by investing money in good equipment and time in developing a good stage show (see Part Two). Invest in a backdrop or some stage props and some decent stage clothes–I don’t care if it is the current fashion to walk on stage dressed like your audience. People want to be entertained and taken away from the world they currently live in. If you can’t do that, then what’s the point in being on stage? Because it isn’t. It’s just a crappy demo that’s going to sound even crappier when it gets played next to a professionally recorded song. If you want to be taken seriously as an original act, or you want to stand out from the crowd, invest some time and money in putting out a good, quality recording of your songs. Get out of your basement and go to a professional studio with a good reputation. Find and pay an older, wiser producer who has experience in your genre to produce two or three really good songs–don’t go for a whole CD yet. It’s not worth it. Instead, invest in a full-day session where you learn the ropes of recording, and go for quality, not quantity. Don’t scrimp. And get those tunes out through as many different outlets as you can. You also need to do a video to accompany them and get it up on your own YouTube channel. Again, it’s well worth investing money in this and having something that is pro-shot (though an amateur video shot by talented students in the media program of a local college might work at a pinch). But forget about crowdfunding to do this. No one knows who you are at the moment. This is money you’re going to have to put up front. Sorry, but it’s the cost of doing business. In the next blog, I’ll talk about some ways to get established and build your reputation. This entry was posted in Thoughts from the Guv'nor and tagged advice for young bands, music business, music marketing. Bookmark the permalink.